The Seychelles has often been referred to as the “Jewel of the Indian Ocean” and the only way to really experience this whole region, is on a yacht charter? Getting around the islands to the different bays and rocky outcrops is only really realistic by boat and the real way to explore this paradise. A Seychelles yacht charter could easily be described, as pure paradise . The Seychelles archipelago consists of hundreds of islands and islets scattered over an area of 400,000 square kilometers of the Indian Ocean, lying northeast of Madagascar, however the ‘inner islands’ surrounding MAHE, the main island, are easily accessible, incredibly beautiful and easy to navigate – with plenty of anchorages, beaches and bays to get lost in. Charter yacht enthusiasts flock here all year round with the idyllic snow white sandy beaches, calm waters, sparkling lagoons and brilliant coral reefs, being some of the reasons why this is one of the most unique and beautiful yacht charter destinations in the world. Secondly, the incredible and unique wildlife reserves, holding rare species found nowhere else on earth, add another level of allure . Discover the giant tortoises and the huge flocks of sea birds (such as the Lack Parrots or the flightless white-throated Railbird) but beneath the water the wildlife is just as magnificent, if not even more impressive than the wildlife on land and no amount of time here on a yacht charter ever seems enough to explore all these local wonders. There are hundreds of species of brilliantly colored fish and coral are on display at Desroches Drop – a site renowned for the best diving in the Seychelles, although even snorkelling on the inner islands can be mind-blowing with the pure volumes and colours of sea life. The warm waters around all the islands are perfect for snorkelling and although scuba diving here is phenomenal, you can experience much the same just snorkelling . There are over 20 dive and snorkel sites in the marine parks around Mahe alone, one being St Anne Marine National Park which protects over 150 types of fish. For those who’d like to experience the thrill of diving with the giants of the deep, the waters beyond the lagoons hold a variety of larger fish and sharks but this is not for the faint hearted. If you feel more comfortable with these types of fish on your plate, as opposed to you on theirs, the deeper waters are fantastic for game fishing and an abundant source of fresh food for the dinner table daily. The crossing between Mahe and Praslin or La Dique guarantees fresh sushi or fish for the braai for days. 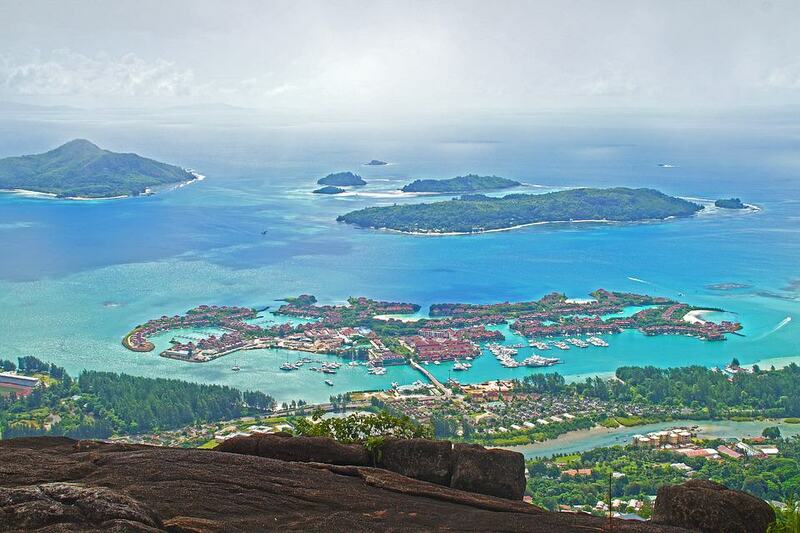 The main island of the Seychelles is Mahe with the capitol being Victoria and alone has 70 stunning beaches of different character, backed by the huge and dramatic rock formations of this granite island, all covered in lush green tropical vegetation. With all these beaches and bays, a perfect and different anchorage for every day on your charter, is never far away and there are certainly those ones that you may never want to leave. The consistent year round temperature and the tropical (albeit humid) climate, accompanied by an almost daily pleasant breeze, eases the heat creating great conditions. Temperatures sit at an average of mid to high twenty’s generally and are always pleasant without being too hot. Although tropical rains fall more frequently in January and February, they rarely affect more than a small area at once and don’t last long. Types of yachts for charter in the Seychelles include power, sailing, dive boat charter, skippered or crewed yachts and more luxury super yachts as well. The constant breezes make light work for a sailing yacht which is easily managed by the beginners as well as being fun for the more experienced. The shallow coral reefs and endless beaches are better suited to catamarans which is the boat of choice by most charterers heading for the Seychelles. Whichever your preferred boat type, a yacht charter in the Seychelles, will be unforgettable. 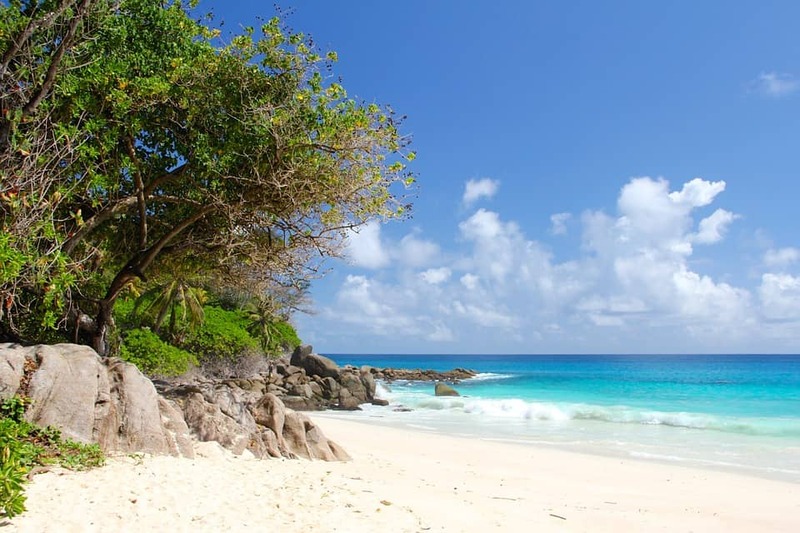 The stunning landscape and the valuable wildlife species make the Seychelles an interesting and diverse location for a yacht charter holiday and having experienced this a number of times ourselves, we are able to offer all sorts of extra tips and information.